This Quarterly update is written by Matt Vickers, principal adviser of Snowgum Financial Services. It provides a high level overview of economic and market conditions before taking at detailed look at the rapidly evolving retail landscape. We finish off with an exciting update on what is happening at Snowgum. The RBA Cash rate finished up at 1.5% for the end of the financial year. Unemployment had an unexpected drop to 5.5%, with consensus forecast at 5.7%. This improved employment data further reduced the small possibility of any cash rate reductions. Consensus is for a increasing cash rate. Superannuation changes now take effect. A pension rollover cap of $1.6m per person sees the end to ultra-large superannuation balances making significant tax-free earnings. The next generation of significant wealth accumulators will need to consider alternative structures alongside superannuation. This quarter we are taking a deep dive into the world of retail. Retail Retail Retail… Everything must go!! In the past the Australian retail market was traditionally dominated by large convenience stores. Woolworths and Coles catering for shopper’s short-term purchasing needs with Myer and David Jones historically catering for extended use goods. In the last few decades, an array of specialty stores have cropped up. Businesses like Harvey Norman, Rebel Sport and JB Hi-F. These stores have broadened consumer options, but with all still opting to provide a wide range of products, and with a strong physical presence. More recently, international retail brands, and some with a limited range of products, entered the Australian market and opted to go direct to consumers. Zara, H&M, Topshop, Aldi, Apple and CostCo, and they all eroded market share from incumbent players. So, what’s in store (pun intended) for Australian retail businesses? For supermarkets, we see two themes playing out. The first is increased competition for market share. In a mature market like Australia, one business’ growth is another’s loss. Although Amazon is not yet a direct threat in the supermarket space, their recent purchase of Whole Foods in the US indicates that Amazon’s retail ambitions are all encompassing (more here). Back in the present, Aldi is a case study in point. It has a rapidly expanding footprint at the expense of the Woolworths and Coles. This increasing competition in supermarkets sees profit margins, high by international standards, shrink. Even a little pressure on earnings margins reduces profitability. A 1% reduction in earnings can lead to a 20% reduction in profitability. When you combine shrinking market share with shrinking profit margins and you have a recipe for, at the very least, stagnation in business profitability. We do not think we are unearthing any major insight here and so would expect markets to have already priced in this risk. With Woolworths trading at a price to earnings ratio of 21.50 and Wesfarmers (Coles) trading at a price to earnings ratio of 15.70, we do not believe there is a margin of safety to accommodate softer profitability. Woolworths and Wesfarmers are more than just supermarkets. They both have broader retail footprints. Kmart and Target (operated by Wesfarmers) and Big W (operated by Woolworths) are right in the sweet spot for Amazon. With these factors in mind, we have a pessimistic outlook for both WOW.ASX and WES.ASX in the medium term. Finally, with increasing fragmentation of consumer retail spending, brick and mortar stores are being forced to become much more cost conscious. Shrinking store footprints and physical presences, we believe, will lead to an oversupply of physical retail space. Listed businesses like Scentre Group, with its diversified exposure to non-core suburban retail spaces are particularly exposed to a stagnating physical retail environment. This is further discussed in our 10-year view below. Amazon is fully priced with little margin of safety for any misstep. Our view is that Amazon is an amazing business with a transformative model for retail markets. It has proven it has a long-term focus and has exemplified tremendous leadership. However, based on its price, it is proving a hard place to allocate capital for the intelligent investor. To better understand how Amazon might impact Australia, it is worth looking at how things are playing out in the US. According to the PWC Retail 2020 white paper, the US market is currently transitioning from ‘Maturation’ to a ‘Post-Modern’ retail market. A Mature market is defined as a “retail market continu[ing] to concentrate and be reduced to fewer companies, some major retailers fail and, in parallel, available real estate saturates the market. Further, Supercenter formats (Hyper/Mass Channel) capture a disproportionate share of all US retail”. Sound Familiar? – Australia in a nutshell. The US, UK and Germany are now years into channel disruption and on the path to a ‘Post-Modern’ retail market. The primary definition of post-modern retail industry is “the end of Supercenter growth”. Australian retail consumers are digitally savvy. We have some of the highest market penetration in smartphone usage of any nation, yet we haven’t translated this into sticky online spending habits. Consumers are generally rationale. Reduce the cost of an item relative to an equal alternative and a consumer will usually choose the lower cost item. Cost is not price. Cost is the combination of price and the negative value of overcoming impediments to access. Reducing impediments like time and distance gave rise to the ubiquitous and successful local suburban supermarket. A supermarket provided all necessary regular items in one convenient place, why would you shop anywhere else? As shopping takes time, if we extend this thinking, a rational consumer would be better off if they never had to shop at all. What if all the goods we required were delivered to our house? If the cost of this service was less than the cost of shopping in suburban shopping centres they would become obsolete. However, what about people who like to shop? 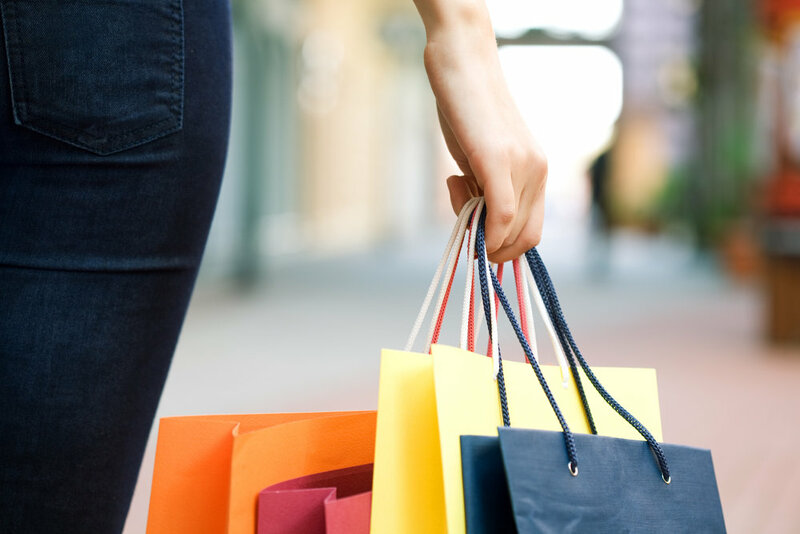 We think these people will continue to shop, but because they enjoy shopping, will preference shopping experience over convenience (as they already do). ‘Experience’ focussed retail providers will continue to capture this market and be successful. Eventually, with significant and long-term improvements in 3D printing, medium-term use goods will be digitalised. Like music and video content before them, a retail item will be licensed, purchased and printed at your 3D home printer (or community 3D printer corner store). The vast reduction in logistical costs associated with transporting and packaging goods will democratise access to all basic items for ‘cents and dollars’. It is always good to look at what leaders in industries are doing with their capital. The Lowy group are examples of such leaders in the retail industry. The Lowy family fully exited their position in Scentre Group, maintaining Westfield Corporation as their principal investment. Westfield Corporation provides high-end international shopping experiences. They satiate the recreational shopper’s needs with architectural, cuisine, place and purpose experiences. Scentre Group on the other hand operates a legacy network of the Australian and New Zealand suburban shopping malls. Although working hard on transitioning the business, their networks primary advantage is convenience not experience. The Lowy’s have spoken with their capital and opted for experience and entertainment shopping over convenience shopping. Snowgum news - We’ve moved office! Snowgum Financial Services has moved from our premises at Pitt St Sydney. We are very indebted to and appreciative of the Lawyers at Mackenzie Thomas for sharing with us their office space over the last two years. Our new office space is on Level 8, 99 Elizabeth St Sydney opposite the law courts. The new space provides a terrific facility to host client workshops, meetings and importantly, provides our business room to grow to meet the needs of our growing client base. Pop in, say hi and grab a coffee overlooking Hyde Park.